Cameron Smith wins Australian PGA Championship in a playoff against Jordan Zunic who finished his third round on top of the board. Smith posted rounds of 68, 67, 67, and 68 to finish at 18-under for a tie with Zunic leading to a playoff. 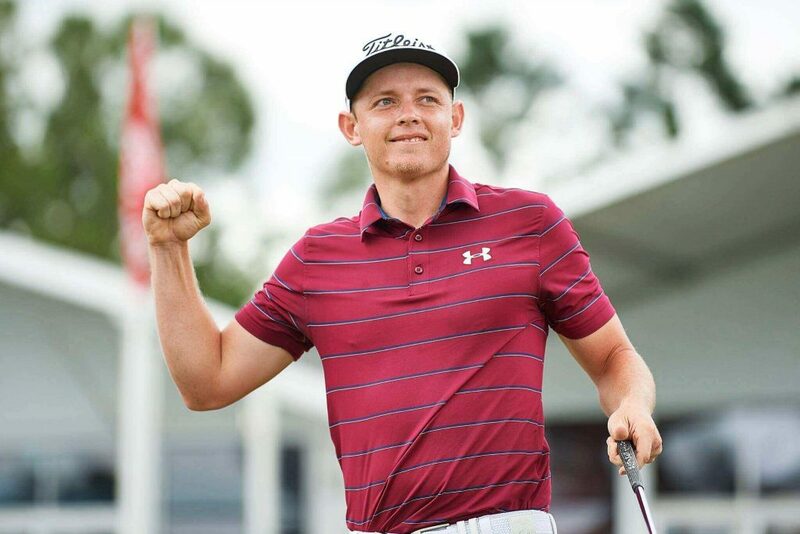 Smith won over Zunic on the second playoff hole for the title, the pair played the 18th hole twice when Zunic made bogey and Smith made a par to win the last event on the ISPS Handa PGA Tour Australasia calendar. Zunic was tied for the lead in the opening round, and again picked up a solo lead yesterday with 8-under 64, equalling the course record, and 1-under 71 today consisting three birdies and two bogeys, making his total 18-under 270. Adam Bland finished 3rd for the event, the position he was on yesterday too. Bland posted 4-under 68 today consisting 5 birdies and a bogey, taking his total to 17-under 271, just a shot short of facing a three-man playoff, whereas Leishman finished the event for a share of the 4th place on the board with a bogey-free final round of 4-under 68. Leishman shares his place with David Bransdon who too posted a matching score of 14-under 274 at the event. Varner stood 6th at the event with a fiery final round of 6-under 66 consisting 7 birdies and a bogey on the par-4 7th. He improved his position by a spot from yesterday, where he shared it with 8 more men. Following the top six finishers for a share of the 7th place on the board at 11-under 277 are Sean Crocker and Lucas Herbert. Nathan Kimsey and Wade Ormsby share the 9th place on the board, where Ormsby recently won the UBS Hong Kong Open on the European Tour. Garcia playing his first event in Australia led the event for a short time on Thursday and finished the event for a share of the 24th place on the board with a final round of 2-over 74, sharing the position with Kramer Hickok, Michael Hendry, Rhein Gibson, Jack Munro, and Oliver Farr at 6-under 282. With this, the calendar year for the ISPS Handa PGA Tour Australasia comes to an end and will start with Rebel Sports Masters at Wainui Golf Club, New Zealand in January 2018.